motor sportsover the course of his career. 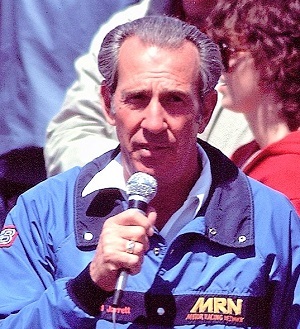 He announced the 1979 Daytona 500 for the Motor Racing Network radio network. He began his television career at NASCAR races in 1981 as a pit road reporter for ESPN. He has announced for NASCAR races at CBS, TBS, and TNN. He has worked the pits for the Xfinity Series, and Craftsman Truck Series (now the Camping World Truck Series), as well as the World of Outlaws sprint cars. 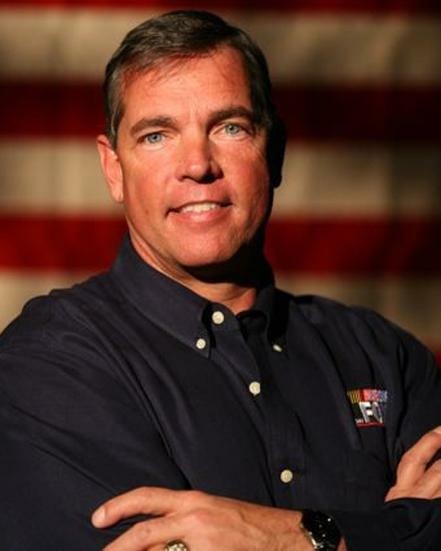 Berggren was the lead pit reporter for NASCAR on Fox from 2001-2012. He covered events in NASCAR's Sprint Cup Series from Daytona to Dover. In May 2012, Berggren announced he would retire after Fox's broadcast of the 2012 FedEx 400 at Dover International Speedway. Afterward he commented, "After the Fox portion of the year ends, I've always traveled to local tracks where I still enjoy sitting in the stands with a hot dog in one hand and a beer in the other, watching the local heroes. I can’t get enough of local-level racing so I'll do more of that now." However, Berggren did return to CBS (where he had previously worked until 2000) for a limited schedule of pit reporting ARCA telecasts during the 2014 season. Berggren ended up working the three races for which CBS held the broadcast rights. Berggren was well liked among his peers who lovingly called him "Dr Dirt"; (as in he has been around as long as dirt) and always kidded him on air about being old. Dr. Berggren was inducted into the National Sprint Car Hall of Fame in 2002. He was inducted in the New England Auto Racers Hall of Fame in 2008. Berggren received the 2007 Bobby Isaac Memorial Award for his outstanding contributions to short track racing. commentator for its abbreviated schedule. Bestwick joined NBC in 1999 as its lap-by-lap commentator for its lone race, the Pennzoil 400 at Homestead-Miami Speedway. When NBC acquired rights to the second half of the NASCAR season, Bestwick was joined by Benny Parsons and Wally Dallenbach, Jr. as the network's full-time broadcast team. Bestwick also continued to work for Turner Sports, as TNT served as NBC's broadcast partner on cable. In 2005, Bestwick and Bill Weber switched positions on the broadcast. Bestwick took Weber's position as lead pit reporter while Weber, who had substituted for Bestwick for two races in 2004 as he recuperated from a broken leg, moved to the booth. After NBC lost rights to NASCAR following the 2006 season, Bestwick elected to not stay with TNT as part of its six-race summer broadcast package and moved to ESPN. For 2007, Bestwick joined the NASCAR on ESPN package as lead pit reporter, as well as occasionally being race coverage host on Xfinity Series races, and rare NASCAR Now hosting duties. In 2008, he was moved up to full-time race coverage host and hosts a weekly Monday round table edition of NASCAR Now. 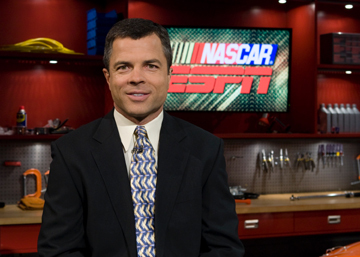 On July 20, 2011, it was announced that Bestwick would replace Marty Reid for the 17 Cup races hosted by ESPN alongside Dale Jarrett and Andy Petree. Nicole Briscoe would replace him as host of NASCAR Countdown alongside Rusty Wallace and Brad Daugherty. Bestwick replaced Marty Reid as play-by-play announcer for the Cup Series races starting at the Brickyard 400, returning him to the position for the first time since 2004. Bestwick also called the Xfinity Series for the remainder of the 2013 season after Reid was fired from ESPN. 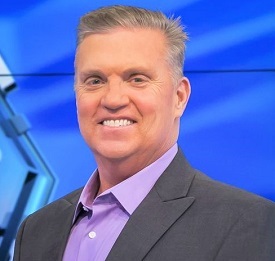 With the end of ESPN's NASCAR coverage after the 2014 season, Bestwick became the lead announcer for ESPN's broadcasts of Indy Car races for ABC beginning in 2014, also replacing Reid. Bestwick also branched out into other sports for ESPN, including college football. On April 28, 2017, Bestwick confirmed that he was being released by ESPN after the 2017 IndyCar double-header Detroit Grand Prix and would call his last Indy 500. JEFF BURTON ## - 6/29/1967 - Before moving to the broadcast booth; Burton became just the sixth driver to earn his 1,000th NASCAR career start; (2013). He was named NASCAR Cup Series Rookie of the Year in 1994; he captured 21 NASCAR Cup Series victories and 27 XFINITY Series wins throughout his racing career. 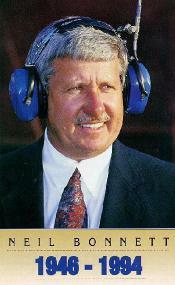 Regarded as a trusted advocate for the sport, Burton has worked closely with NASCAR on numerous safety issues and programs, including the creation of safer seats, track walls, cockpits, helmets, uniforms and HANS devices. Commonly sought out for his perspectives on various issues affecting NASCAR, Burton has been dubbed “The Mayor” by fans, competitors and media. He has long taken a leadership role among drivers and has been outspoken on many topics. His opinions are viewed to be knowledgeable and based on a desire to do what's best for the auto racing industry. 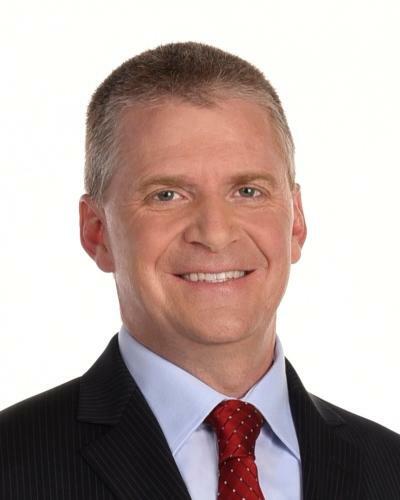 Jeff Burton serves as an analyst for NBC Sports Group’s NASCAR Cup and XFINITY Series racing coverage, working alongside race announcer Rick Allen and fellow analyst Steve Letarte. In addition, Burton regularly contributes to NASCAR America as an in-studio analyst and from NBC Sports’ “Burton’s Garage” located near many of the sport’s race teams in Concord, NC. When NBC Executive Producer wanted honest input about a subject; Flood knew just where to turn; driver Jeff Burton. So whenNBC regained NASCAR broadcast rights beginning with the 2015 season, Flood knew he wanted that same driver in his broadcast booth. 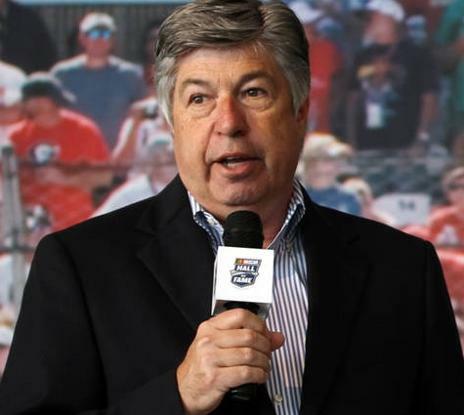 Moving into the broadcast booth hasn't muzzled Burton on how he thinks things in NASCAR are ran and what changes need to be made. In 2017 NASCAR started awarding points for stage wins. Burton took issue with a win being called "encumbered" and a driver not being disqualified. Jeff Burton delivered a fiery argument on why the rule isn’t helping anyone. Burton stated, "I think it’s time to start disqualifying people. I think it’s time. In today’s world where Denny Hamlin won that race, and by him winning that race, that kept someone else from winning the race. No one got those five points moving into the playoffs. It’s time to disqualify people. It’s time to say, you know what? If you’re illegal, here’s the rules. If you like the rules or not, that’s not the question. These are the rules that’s written. You write the rules, you were found to break the rules and it’s not a mistake. It 100 percent happened. And even if it is a mistake, you have to be responsible for them. It’s time to start taking wins away. It’s time to give the points to the person that won the race.” Burton's broadcast philosophy is simple - "I think you've just got to tell the truth," he said. "What I've learned throughout the years is, you can say almost anything you want to say, it's just how you say it. You have to say it correctly, and you have to be educated about it. Make sure you understand what you're talking about before you talk about it. And if you don't know, say you don't know. It's OK to tell the truth. I've thought a lot about it. What if Matt Kenseth, who's a friend of mine, spins somebody out? What am I going to say? Well, I'm going to say, 'Matt Kenseth spun him out.' Added Flood: "He's not going to get along with everyone on race day. He's going to have disagreements on strategy and what's happening down on pit road, and that's all part of it -- seeing all different sides of the race day and the race experience." In 2003, WindTunnel with Dave Despain debuted, which saw Despain preside over an hour racing-centric call-in show. Wind Tunnel ran from 2003 until 2013, when it was cancelled during Speed Channel's transition to Fox Sports 1. Despain became host of NASCAR Inside Nextel Cup in 2005, replacing the panel show's longtime host Allen Bestwick. Despain hosted the series until its cancellation in 2008, when it was replaced by This Week in NASCAR. 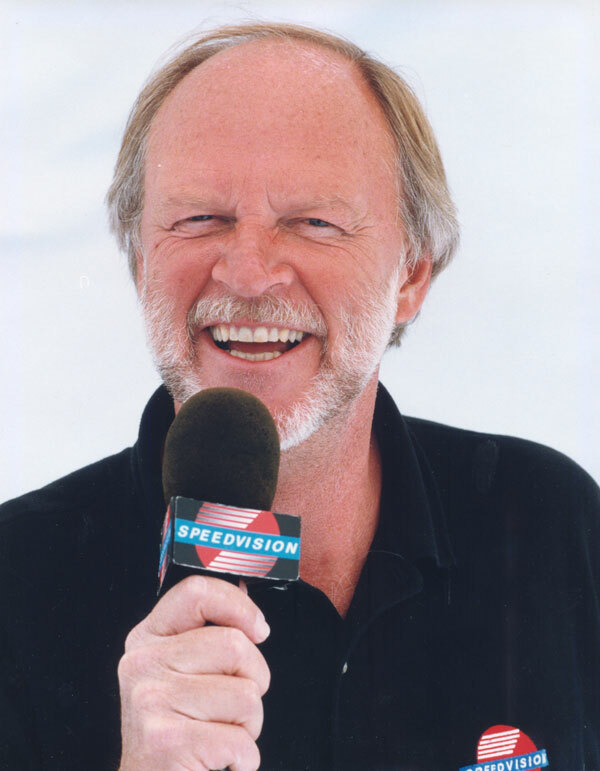 Dave Despain hosts a series of specials called Dave Despain On Assignment that has documented the history of the Daytona Beach course and Daytona International Speedway, and the Talladega Super speedway. 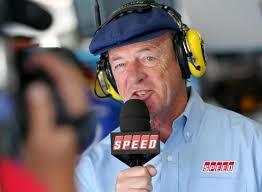 On December 14th, 2013 Despain announced on Twitter that he will be moving to MAVTV in 2014. His first event with the network will be the Chili Bowl on January 18th. Despain will provide color commentary during races held on the channel and host a show called The Dave Despain Show. the safety systems at that time, was near death afterwards, but Economaki rushed to the scene and aided Page until safety crews arrived. He was later credited with saving Lenny's life. Economaki began as track announcer at a number of major races in the 1940s and 1950s. He is responsible for introducing millions of Americans to auto racing as an expert TV commentator. He began at the July 4, 1961 running of the Firecracker 250 NASCAR race at Daytona International Speedway for ABC Sports. He covered most ABC Wide World of Sports motor sports events, including several Indianapolis 500s, Daytona 500s, Formula One Grand Prix races, the 24 Hours of Le Mans, etc. He would also cover Wide World's less glamorous motor sports assignments, such as demolition derbies. After 23 years he switched to CBS Sports. He covered International Race of Champions (IROC) events, Daytona 500s, and Formula One Grand Prix events. He covered several types of auto racing, including sprint cars, Championship Cars, stock cars, drag racers, and CanAm cars. From 1995 until 2008, Economaki was a part of the Indianapolis Motor Speedway Radio Network coverage of the Indianapolis 500, working as a color commentator. Economaki received numerous major awards. He was inducted in the Motorsports Hall of Fame of America in 1994. He was inducted in the National Sprint Car Hall of Fame in 1993. He was awarded the 1990 NASCAR Award of Excellence, and the NASCAR Lifetime Achievement Award in 1998. 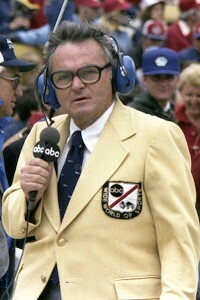 Chris Economaki became the prototype for all radio and television journalists in his sport. His depth of knowledge and skilled questioning made network execs understand that auto racing needed specialists to properly cover the sport. Chris opened the door for a whole generation of voices you hear today. Edsel B. Ford II of Ford Racing, called Economaki "an icon of the sport of auto racing and a familiar, knowledgeable face and voice to millions of race fans around the world. His influence on the growth of auto racing in the United States cannot be underestimated." The Economaki Champion of Champions Award is named after him. A day at the Southern 500 at the Darlington Raceway race weekend is named "Chris Economaki Day." I myself had the privilege of meeting Economaki at a season Opening Banquet for the Craftsman Truck Series in 2001. We sat at the same table and had drinks and dinner. He had some quite interesting stories to tell. He told me "Chris, you had to be there"; then went on to make me feel like I had actually been there and saw it for myself. The man could paint a picture with his words. He died at the age of 91.
selected qualifying shows, he will call qualifying from the broadcast booth. On selected qualifying events, he will report from pit road. During the race, he is positioned in the studio but will frequently exit the studio to demonstrate from the cutaway car, and during pit stops will analyse pit stops. Also, because of the long nature of the races, he and Chris Myers will recap the race while there is a break with the main booth (usually during caution flags). Hammond also is able to substitute for a pit reporter if necessary, which happened in 2002 when Steve Byrnes was unable to work the Dodge Save Mart 350 at Infineon Raceway because of an emergency situation with his wife Karen regarding her pregnancy. Hammond contributes a regular online column on Foxsports.com where fans can post write-in questions, one of which he will answer in every column. on TNN and NASCAR Tech on FSN. 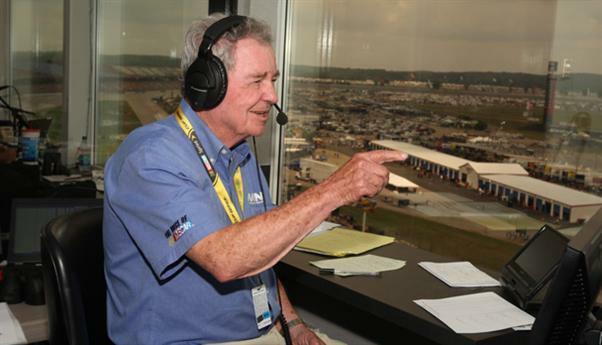 He called several of NASCAR's more memorable television moments. Ned called his son Dale's first victory (in his 129th race) in the 1991 Champion Spark Plug 400 at the Michigan International Speedway. Dale banged Davey Allison's fender at the finish line in what was then the closest finish in NASCAR history. Another famous moment was when he called Dale's victory at the 1993 Daytona 500, openly siding with his son on the last lap and coaching him home to victory over Dale Earnhardt. To enhance the drama of what was unfolding and Jarrett battled Earnhardt for the win the CBS race producer told the other race announcers to 'fall out'. The "Dale and Dale Show" commenced as Jarrett passed Earnhardt in the tri-oval as they took the white flag. As the leaders exited Turn 2, the CBS Sports producers came on the headsets of Ken Squier, Neil Bonnett, and Ned Jarrett, telling Ned to "call his son home". Quote: "Come on, Dale! Go, buddy, go! All right, come on! I know he's got it to the floorboard; he can't do anymore! Come on! Take 'er to the inside! Don't let 'em get on the inside of you comin' around this turn! Here he comes, Earnhardt; it's the "Dale and Dale Show" as we come off Turn 4! You know who I'm pulling for, it's Dale Jarrett. Bring her to the inside, Dale! Don't let him get down there! He's gonna make it! Dale Jarrett's gonna win the Daytona 500!!!" The next weekend at Rockingham, Ned reportedly apologized to Earnhardt for his obvious show of bias, to which an understanding Earnhardt replied, "I'm a daddy too." career also included college football, Formula One, CART, IRL, as well as coverage of the Winter Olympics, as well as many other events. He joined Fox Sports for three years of Formula One coverage in 1998 with Derek Bell, and moved full-time to Fox with the NASCAR TV package starting the 2001 season. FOX broadcasts the Daytona 500 and the first 13 Sprint Cup races of each NASCAR season through 2013, starting 2015 FOX covered the first 16 races. Joy also anchors NASCAR coverage on FOX-owned cable networks FOX Sports 1 and FOX Sports 2. Four weeks each year, Joy brings extensive knowledge of collector cars to the Barrett-Jackson auction block as lead analyst for Fox Sports's live auction coverage. His commentary mixes detailed knowledge of the cars and their specs with first-hand recall of how cars of the 50's-70's were viewed back in their day. Joy was voted the 2011 recipient of the Henry T McLemore Award. Presented since 1969, this award celebrates career excellence in motor sports journalism and is voted on by past winners. The International Motorsports Hall of Fame presents the Award at its annual induction ceremony, and the hall displays a wall of plaques honoring the winners. In March 2014, a Sporting News poll named Joy first among network television's 15 NASCAR announcers and analysts with a 93% approval rating. Joy, FOX Sports colleagues Darrell Waltrip and Larry McReynolds earned three of the top four spots in the poll. In 2015, Joy, Waltrip and McReynolds completed 15 years together, the longest tenure of any three-man announcing booth in US network sports television history. Beginning 2016, four-time NASCAR champion Jeff Gordon joined Joy and Waltrip in the FOX-TV booth, with McReynolds moving to a new role as race strategist and rules analyst. Joy resides on Lake Norman, in North Carolina with his wife Gaye and their two children, Scott and Kaitlyn. He restores vintage MG's, and retains his New England roots as CEO and equity partner in New England Racing Fuel, Inc., distributor of Sunoco Race Fuels. An avid SCCA amateur race driver, he has won events at Lime Rock, Watkins Glen, Pocono and New Hampshire, and raced professionally in IMSA, including the 24 Hours of Daytona in 1993.